Standard Garage Floor Coating Systems: “AllCoat Surfacing Technologies” represents and warrants that (i) the labor, and (ii) the materials used in the installation of your floor coating system to be free from defects for a period of Five Years “5” years from the installation date. Warrantable defects include staining from oil, transmission fluid or coolant, peeling / delaminating, and yellowing from U.V. exposure. 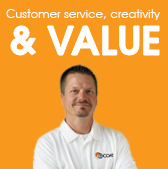 Exterior and commercial warranties are available upon request. Damage caused by improper maintenance or repair, abuse, misuse, fire, water, acts of God or other events beyond AllCoat Surfacing Technologies control including, but not limited to; holes cut or drilled into Flooring Systems, and damage caused by removal or improperly maintaining the floors. Attempted repair or removal of AllCoat Surfacing products by anyone other than AllCoat Surfacing. 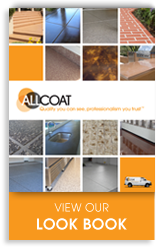 Products that are not manufactured for AllCoat Surfacing Technologies. Products that have not been installed by AllCoat Surfacing. Products that have not been paid for in full by buyer. Damage caused by hydrostatic water pressure, moisture vapor transmissions permeating the concrete slab, or exposure to either battery acid or brake fluid. Delaminating caused by poor substrate condition, or an internal failure of the substrate. Cracks in the substrate prior to or occurring after the installation of the Floor Coating system that appear from normal ground shift and expansion/contraction of the substrate. Proof of purchase is required when making a warranty claim. All warranty claims must be in writing. 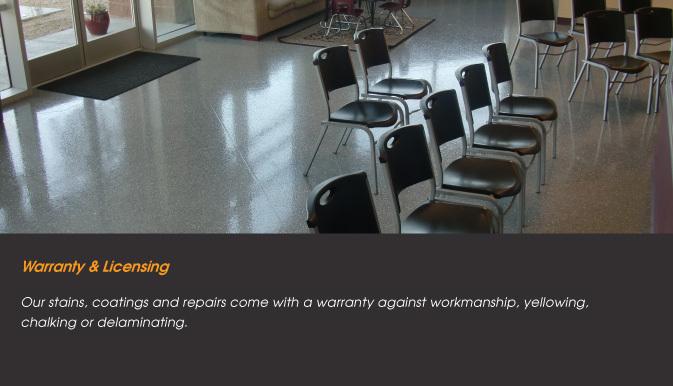 To make a warranty claim, contact AllCoat Surfacing Technologies at P.O. Box 28424, Scottsdale, AZ 85255. 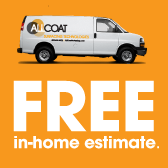 AllCoat Surfacing will determine in its sole and absolute discretion, whether: (a) the floors have been properly maintained and (b) the warranties granted herein are applicable and not otherwise subject to the exclusions herein. 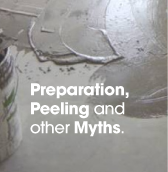 If a claim is determined to be subject to the warranties herein, then AllCoat Surfacing will repair or replace the items subject to the claim at AllCoat Surfacing’s expense. A claim hereunder will be your sole and exclusive remedy. This warranty is non-transferable and applies only to the original buyer. This warranty may not be assigned or transferred. INCLUDING, BUT NOT LIMITED TO, WARRANTIES OF MERCHANTABILITY, FITNESS FOR A PARTICULAR PURPOSE, AND TRADE USAGE. FURTHERMORE, ALLCOAT SURFACING SHALL NOT BE LIABLE FOR ANY CONSEQUENTIAL, INDIRECT, INCIDENTAL, SPECIAL, PUNITIVE, OR EXEMPLARY DAMAGES (INCLUDING, BUT NOT LIMITED TO, DAMAGE TO PERSONAL PROPERTY, LOSS OF TIME, LEGAL SERVICES, OR TRAVEL).